Avoid Accidents and Incidents. Clean up Sloppy Brain. I call my busy mind my “sloppy brain” when I’m distracted and feel clumsy and out of sorts. 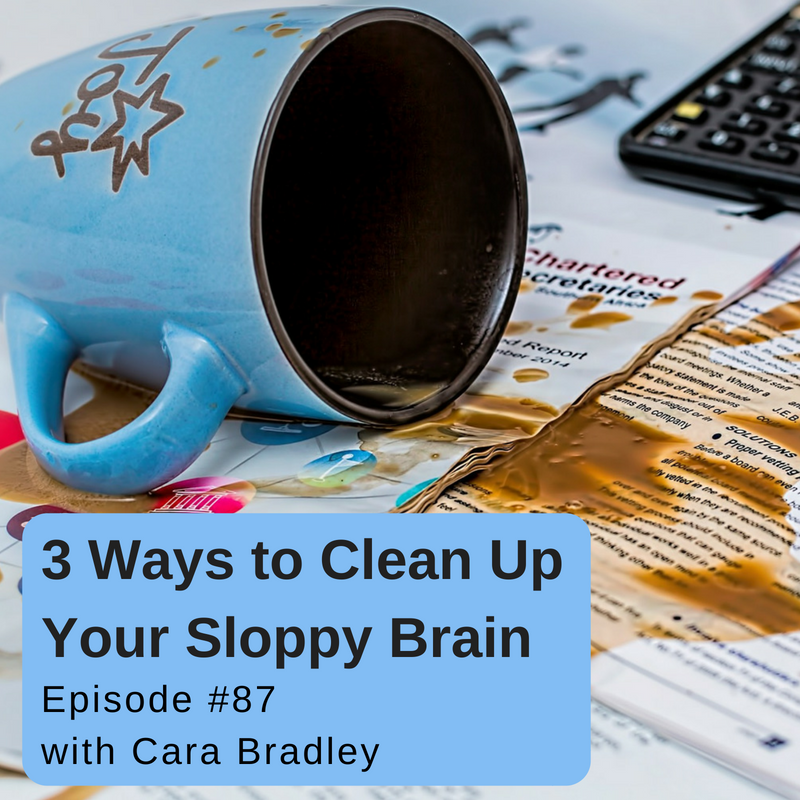 Let’s face it, sloppy brain happens to all of us. I once went to work with my slippers on. No joke! Luckily, as a yoga teacher, I spend most of my workday barefoot, but that still didn’t protect me from the loving abuse I took from colleagues and students. I see examples of sloppy brain on the highway, in the grocery store — everywhere. Too many of us are sloppy in how we show up in our day-to-day lives. This isn’t a judgment, just a fact. Put simply, your sloppy mind is in a weakened state. It speeds through life and doesn’t slow down to take even a few seconds to tell you to, say, mindfully place your phone and keys in the same place, set your teacup away from your laptop, or notice the stop sign in front of you. Furthermore, accidents happen when you get stuck in the loop of the sloppy brain. Some of these incidents are mere inconveniences (spilled coffee, phone in toilet) while others can be detrimental (fender bender or worse, typo on presentation). Do you live with a sloppy brain? Are you distracted much of the time? Welcome to the club! Take a deep breath and get excited, because you’re going to discover how to clean up your mental mess. For more read Chapter 4 of On The Verge: Wake Up, Show Up and Shine and learn about four other traits of your busy mind including: Crazy Busy, Over-Thinking, Auto Pilot and Information Overload. Are You Missing Peak Experiences in Your Life? PrevPrevious#86: Wearing Jeans: Not too tight. Not too loose.